As you will remember we had our Bacon Competition for St. Patrick’s Weekend. I’ve already shared the winning recipe, Bacon & Cabbage Soup, with you, and was full of great plans to try the other recipes in the weeks immediately after, but life as always got in the way. Finally, today, I got a chance to try Ruth McKenna’s recipe. Ruth’s recipe is absolutely delicious. 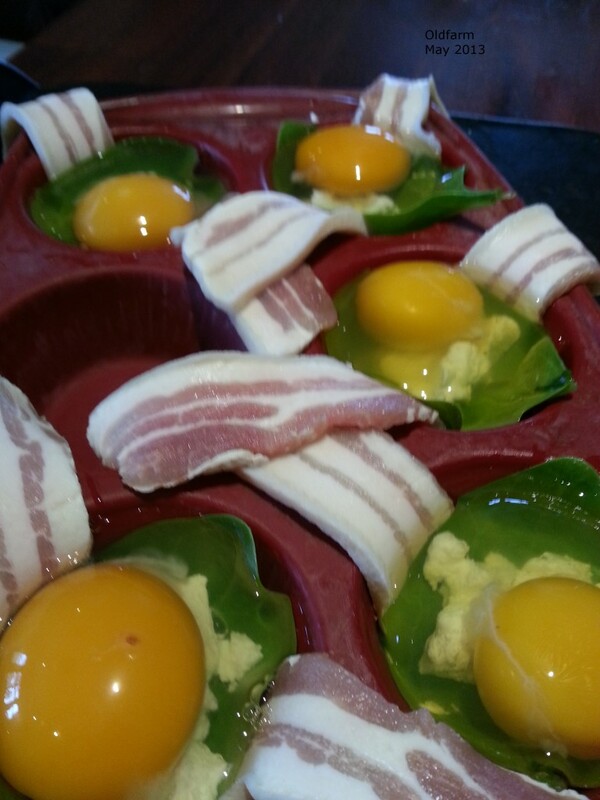 It was particularly lovely to make them today using our own bacon, first baby spinach leaves from the garden and our own eggs. Only thing we bought was the goat’s cheese. We greedily ate 2 each! You must try this. 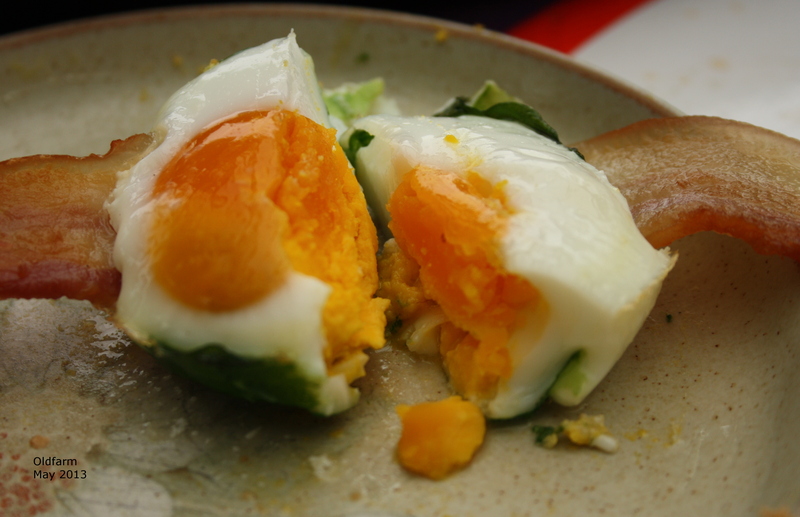 Eggs, spinach, goat’s cheese and rashers – amazing colours! Preheat oven to 180 deg. C.Grease a muffin tray. Line each depression with a slice of bacon. Next add your spinach leaf. Crumble some goat’s cheese (or feta cheese) in next. Break an egg over the whole lot. 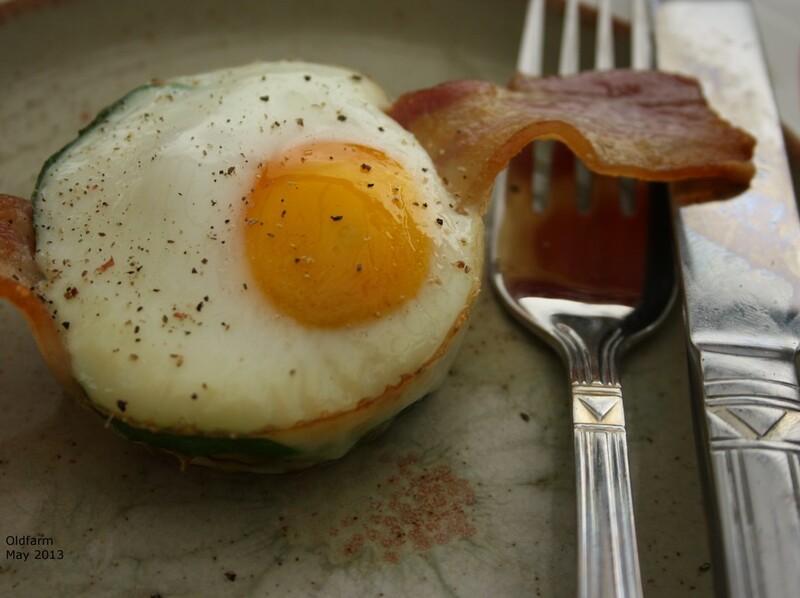 Bake for 15 – 20 minutes depending on your oven and how you like your eggs.